Well, Friday already, so i thought I would just add a great little promo Video today and let you take it all in, has a great 60’s feel to it and good to see the Rapiers are still playing back home. Recently, Widow Makers presented a sneak preview of what to expect from us to those who attended the famous ‘Ton Up Day’ event held at Jack’s Hill Cafe in Towcester, Northamptonshire. Widow Makers showed illustrations completed together with our merchandise and following a very successful day a number of new commissions have been requested. Whilst attending the event, Stuart from Widow Makers and Creative Beast worked with Tom White at Black Rock Creative who filmed the finishing touches of a promotional video for Widow Makers showing the presentation of an illustration completed just days previously to Johnny ‘Chester’ Dowling – the culmination of days of planning, drawing, filming & tea-drinking – we hope that you agree that the illustration is a fitting tribute to what is a lovely machine and that the video captures the essence of a bygone era of motorcycling. Widow Makers was so happy with the video that we couldn’t wait to show it to you all – we hope you love it as much as we do ! All my family, friends and customers who have supported me on the launch of this project, To all those who attended ‘Ton Up Day’ at Jacks Hill Cafe. Johnny ‘Chester’ Dowling and my wife and best friend, Lorna McDowell. Widow Makers is owned by Creative Beast Ltd, a registered trademark. 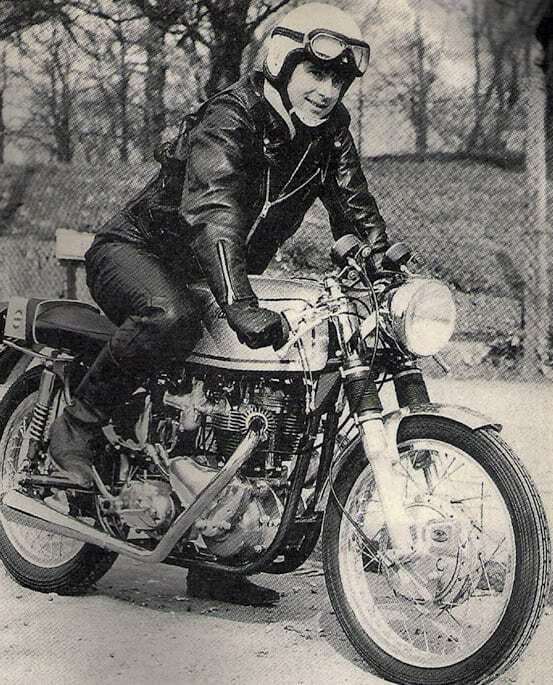 This entry was posted in Uncategorized and tagged 59 club, A10, A65, ace cafe, bonneville, BSA, Goldstar, leather jacket, matchless, north circular road, North london, norton, Rapiers, rockers, t100, thruxton, ton up, triton, triumph, vincent.